My Rule looks at a main folder (Movies or TV Shows). I want the Rule to look at the contents of subdirectories it's going to process and look for a specific filename in that directory. I can't seem to find out if that's possible or not. The filename will always be the same for the Rule, so I don't need to match any partial text. 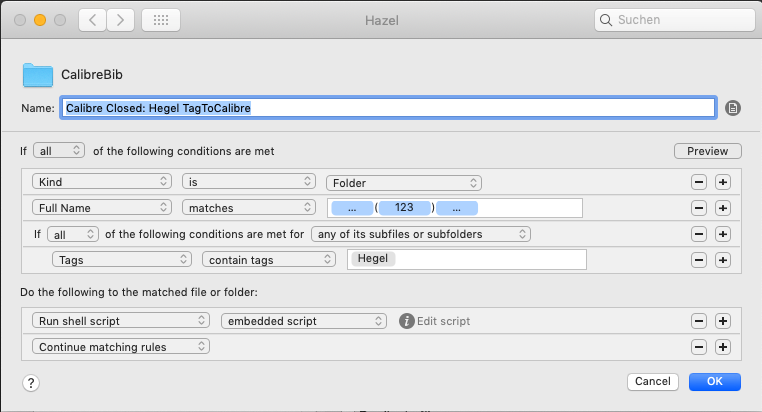 Just that the "Tag" after the "If all of the following conditions are met for any of it subfiles or subfolders" is something like "Name Contains ...anything...". Are you trying to do something to the folder containing that file or to the file itself? Or to a different file (in which case, what is that file's relationship to the other file)? I got it to work based on the first comment.